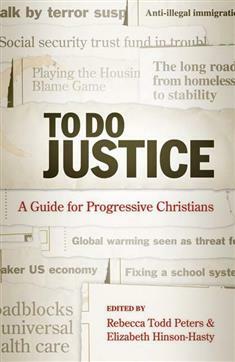 Encouraging Christians to call for public policies that benefit those most vulnerable in our nation, To Do Justice offers tools for studying complex domestic social problems such as Social Security, immigration, the environment, and public education, and serves as a guidebook to becoming involved in social action. Rooted in Christian tradition, each essay analyzes a contemporary problem from social, biblical, and theological perspectives before providing directions for public policy. These engaged ethicists from across the mainline denominations provide concrete examples of how progressive-minded Christians can work for justice in response to these moral dilemmas. With discussion questions in each chapter, this book is an excellent resource for classrooms--both in colleges and in churches.